Remember when Oklahoma City area adolescents undergoing orthodontic treatment were mortified by their metal mouth? Thankfully, those days are over. The Oklahoma City teens of today wear their braces proudly and make no effort to hide them. They know they don’t need to wait until their teeth are aligned to flaunt a striking smile; they enjoy flashing their brightly-colored braces in all their glory. Another plus? Just as they mix and match their clothes and shoes, teens can change their wires and bands every time they visit their Oklahoma City dentist or orthodontist. Braces have become another fun way for fashion-forward teens to express their personality. Of course, there are still some kids (and many adults!) that are not thrilled about having metallic fuchsia bands and neon yellow wires adorning their teeth. Discrete Invisalign aligners are virtually undetectable and straighten teeth just as quickly and effectively as metal braces. Another benefit of the Invisalign system is that the aligners are not permanently attached to the teeth. 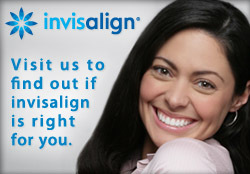 Invisalign clear braces are easily slipped out for brushing, flossing, meals, and sports. If your Oklahoma City child plays a musical instrument that defies traditional braces, removable aligners may be the best option. If you or one of your children need orthodontic treatment in the Oklahoma City area, call OKC Smiles at 405-634-7303 to schedule a consultation with OKC dentist Dr. Mark Phan. OKC Smiles is located at 930 SW 107th St in Oklahoma City. We also provide comprehensive restorative and cosmetic dentistry. If you need affordable state-of-the-art dental care in Oklahoma City, let us tell you about our financing options. 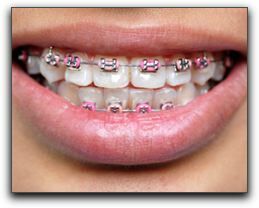 Whatever your age, if you want to straighten your teeth, we have wires and bands to match every outfit in your closet! Ouch! Are Your Teeth Sensitive In Norman OK?